We showed this video on Sunday morning, September 15, at Center City Church. 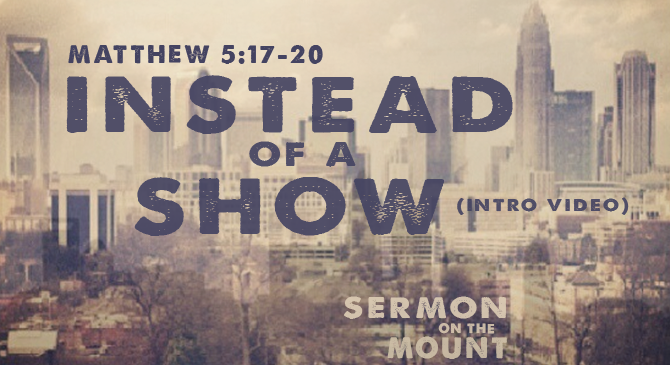 It preceded the message, “Instead of a Show.” God is not interested in the external show of faith as much as he is interested in the genuine, inward commitment. We will post the video of the full sermon early this week.